Proper eye care should include routine yearly eye exams, especially if you develop an eye condition at a younger age that requires prescription contacts or eyeglasses. Our eye doctors in Monterey, CA answer the frequently asked question, “When do common eye conditions develop?” during examinations to help educate patients on proper eye care. Knowing when certain eye conditions develop and the side effects involved can give you a better understanding of when to visit a specialist. When eye conditions are caught early, side effects are generally much easier to treat. In addition, it can prevent the condition from worsening and help protect your long-term eyesight. We use the latest technology at our clinics in order to provide patients with the best possible care. Cataracts are a common eye condition that generally develops in middle age and senior patients. More than half of the people in the United States have either had cataracts or cataract surgery by the age of 80. This eye condition causes cloudy vision as a result of clumping proteins in the lens. Side effects are minimal in the early years, but our doctors will be able to detect cataracts through routine eye exams and provide the necessary treatment. Although unpreventable, cataracts can be treated with prescription eyeglasses. 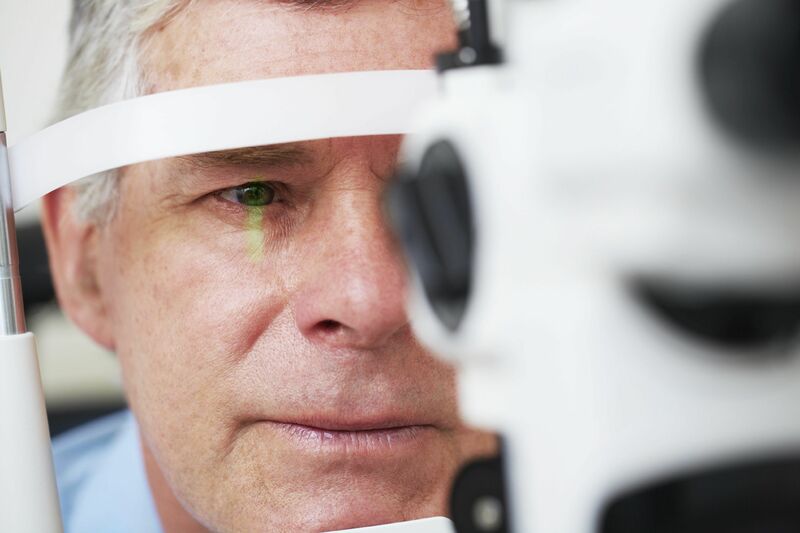 If symptoms worsen, you may require cataract surgery. Presbyopia is age-related farsightedness that develops in patients over the age of 35. When this condition occurs, the natural lenses begin to harden, preventing light from being filtered correctly. Patients who have this condition are unable to focus on up-close images and objects. Presbyopia is unpreventable and affects around 1.5 million people worldwide. For mild to moderate cases, prescription reading glasses or contacts can be provided. As the condition progresses, you may want to undergo LASIK eye surgery. This eye disease is caused by a poor drainage system within the eye that results in intraocular eye pressure (IOL). If left untreated, it can permanently damage the optic nerve and lead to partial or complete vision loss. Glaucoma is also unpreventable but can be treated with oral medication, medicated eye drops, and surgery to alleviate eye pressure. Age-related macular degeneration (AMD) is considered the primary cause of severe vision loss in people over the age of 50. This progressive condition affects a small portion in the center of retina called the macula, resulting in loss of central vision. It is estimated that nearly two million people in the United States have this condition. Although incurable, side effects can be managed with medication and eye surgery. Middle-aged patients are more prone to developing the above conditions, which is why it’s important to visit the eye doctor for routine eye exams, especially if you are over the age of 40. Early side effects are more manageable and cost-effective. To schedule your eye exam, contact our office online or give us a call at (831) 375-2020.